Jude Ward and Harold Kraft had a vision in 1972 of opening a company that would allow people a chance to grow financially and career-wise. 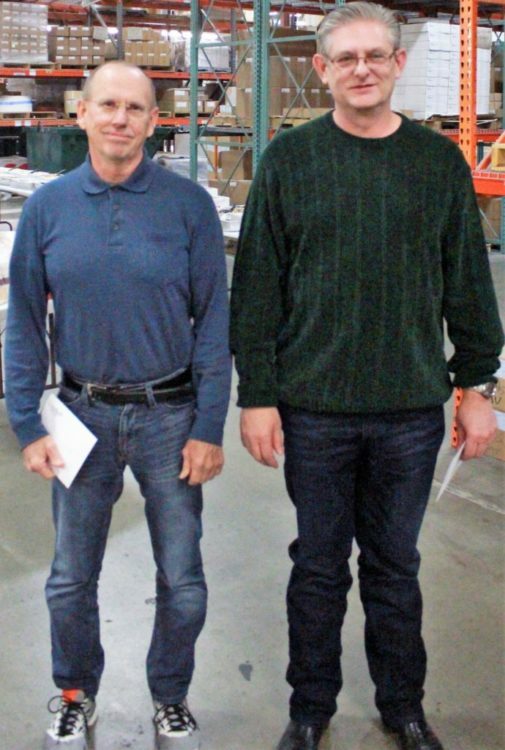 Mr. Ward and Mr. Kraft started up a printing company that would not only outperform the competition but would help create more opportunities for people who wanted a career and not just a job. Now over 45 years later, that “legacy” continues as Ward Kraft still stands at the top of the list when it comes to employers in Fort Scott, Kansas. 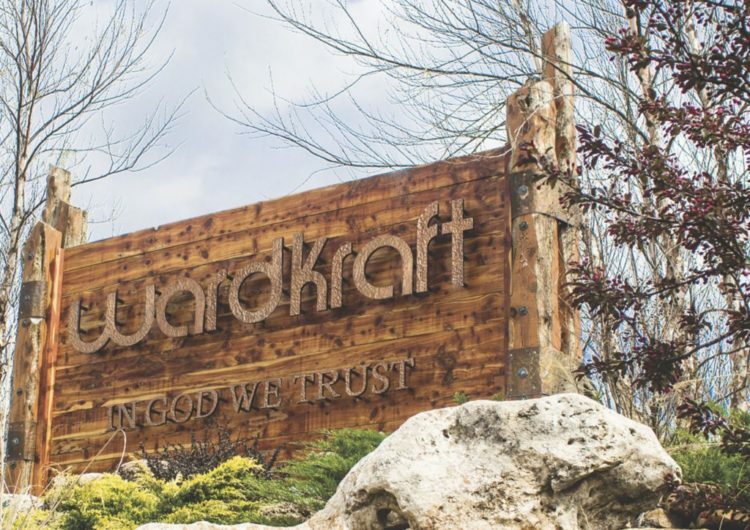 Ward Kraft employs 340 people. That thirty-five percent of their current workforce has been employed at the company for ten years or more shows that Ward Kraft is a place that a person can call a career and not just a job. 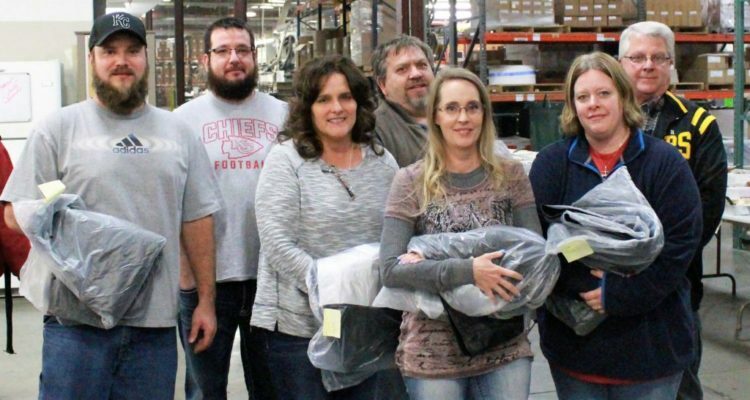 What started out as a forms company in the early seventies has evolved into a company that specializes in forms, labels, plastics, and specialty products; working out of three divisions at their campus in Fort Scott. 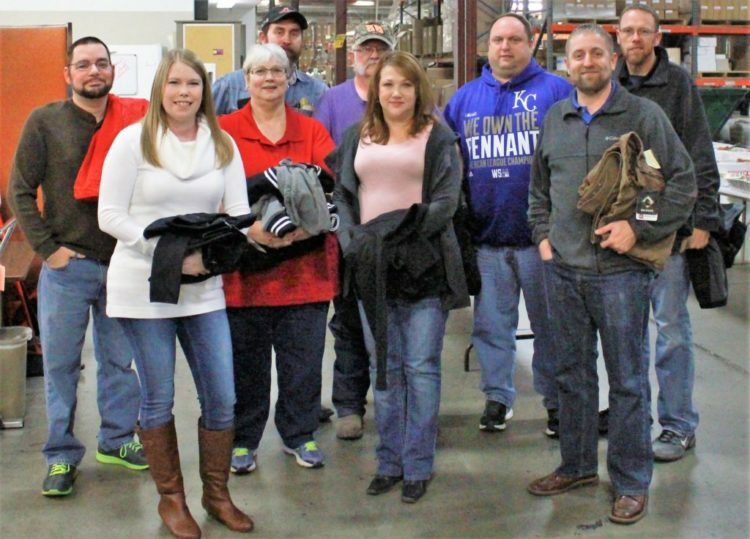 Competitive wages (with wages ranging from $10.40 to $22.00 depending on the work area and skill level), good benefits, stability, advancement opportunities, and a good working environment are a just a few of the reasons the employees at WK have made the company their working home for so many years. 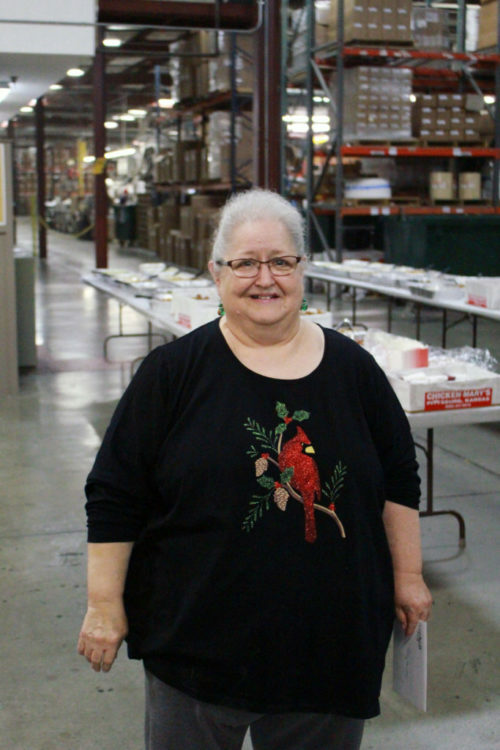 Dee Covey, who has been with the company for over 12 years says, “I have been blessed to have an awesome job. I work with great people who believe in teamwork and a boss who is very understanding and always listens to me”. 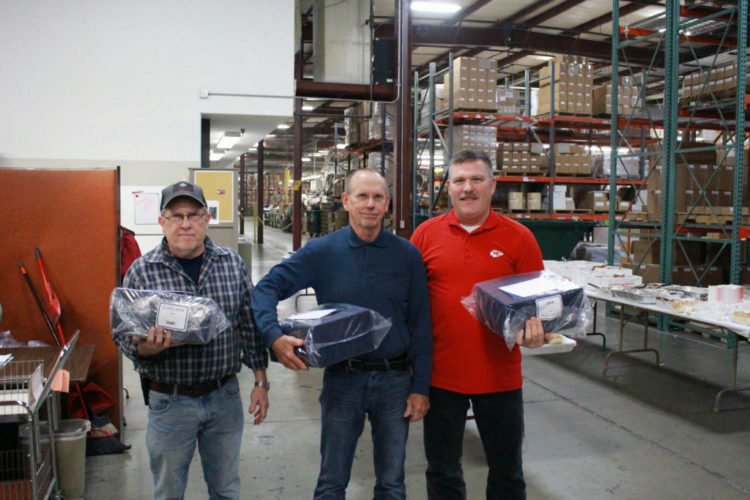 During the company’s annual Christmas dinner, service awards were handed out to members that were celebrating 5, 10, 15, 20, 25, 30, 35, and 40 years of service. Celebrating 5 years: JoAnn Dugan, Ashley Farmer, Daniel Gauthier, Bryan Hughes, Brad Matkin, Mike Pyle, Richard Racer, Wayne Racy, Cindy Schroeder, Scott Smith, Chris Thurston, and Jay VanBuskirk. 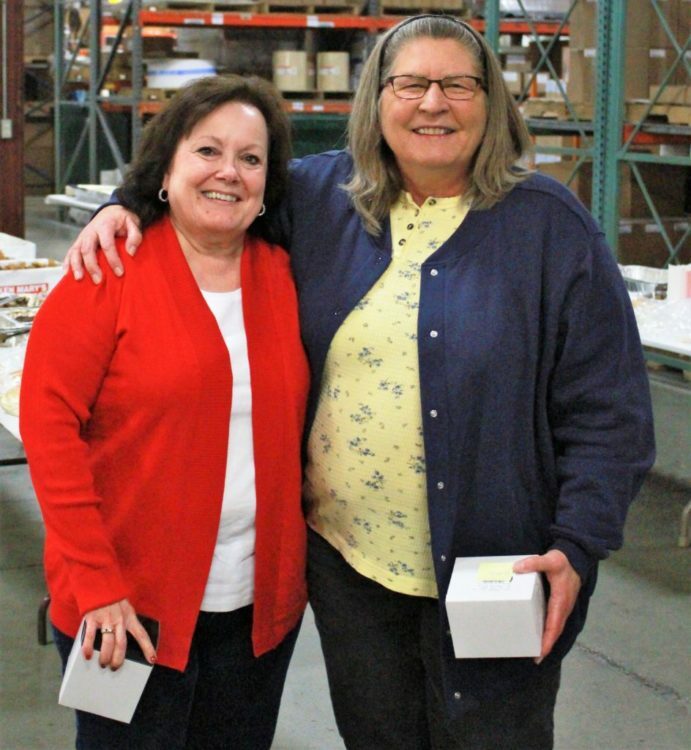 Ten-year service awards pictured (from left to right) Reva Dent and Roberta Anderson. Celebrating 15 years: Ken Ash, Lisa Hull, Matt McClellan, Ben Morrell, Bob Piotrowski, Dana Ruhl, Jeanette Sisseck, Joshua Smith, Steve Williams, and Teresa Zimmerman. 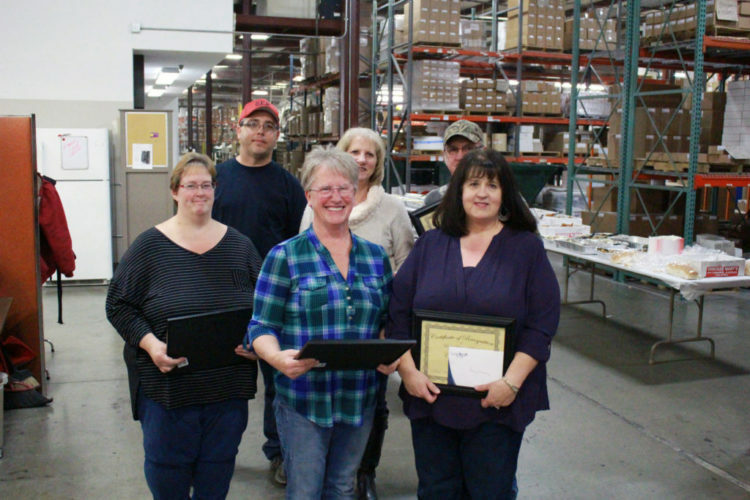 Twenty- year service awards –pictured (from left to right) Michelle Heaton, David Budd, Twila Milburn, Sara Griffith, Carey Mooney, and Randy Thurston. 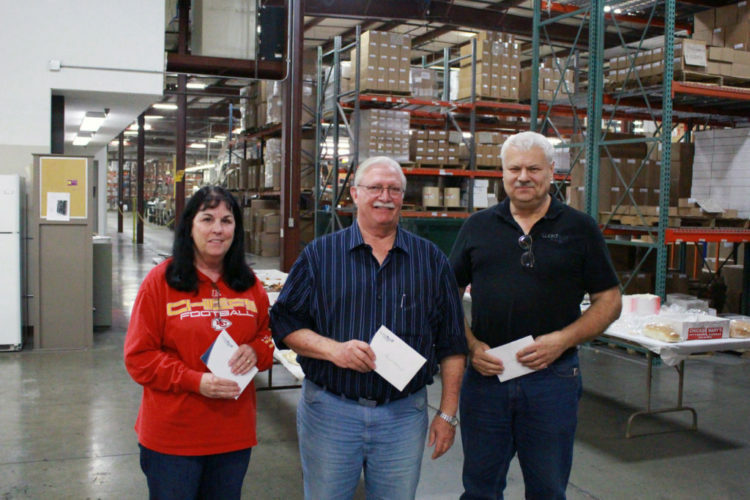 Thirty-year service awards pictured (from left to right) Melinda Collins, Raymond Mauck, and Jesse Crum. 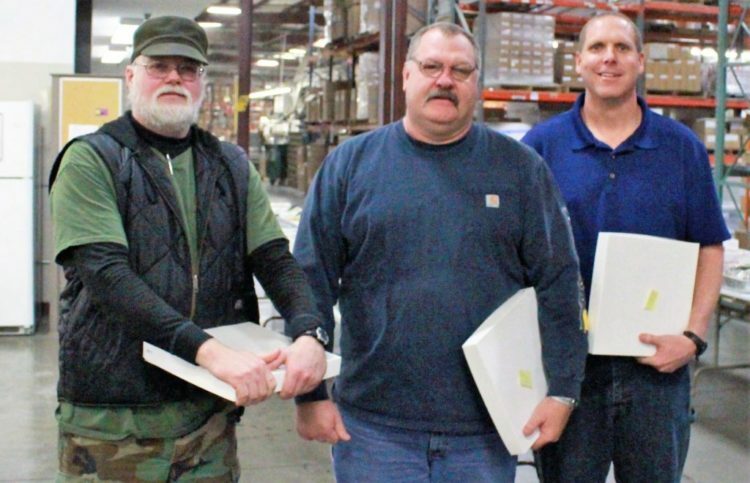 Thirty-five-year service awards pictured from left: Dennis Harper, Danny Harper, and Gary Bosley. Forty-year-service award, pictured is Patty Gauthier. Celebrating the retirements of Jimmy Tucker (31 years of service), Danny Harper (35 years) and Joy Wiltse (30 years). Ward Kraft, Inc. is part of the WK Holding Company which also includes local companies FS Munitions, KW Cattle Co., ReproLogix, 4 State Sanitation and Recycling, and Christian Learning Center. Ward Kraft will hold a job fair on April 10th at the Empress Event Center, located at 7 North Main, from 10 am to 2 pm and will be looking for people who want to be part of their team. Positions that are available are production members, sales personnel, and office staff to name a few. WK staff will be present to talk to prospective members about these opportunities and to answer any question you may have about the company. Ward Kraft management believes the employees have made the last 45 plus years possible and successful and are still committed to hiring the “Person Not the Position”.